To provide a general overview along with details about trim packages, specifications, features and other technical information such as MPG concerning the 2009 model year. Catalog and display various 2009 Jeep Wrangler’s for sale by owner across the United States. This includes ads reposted from Craigslist and eBay along with Jeeps listed directly on this site. To document, review and memorialize the site owner’s 2009 Jeep Wrangler Unlimited Rubicon, that was purchased in November 2008 only to be destroyed less than a year later in September 2009 during a freak accident that burned it to the ground. Feel free to jump to any section of the site that you like based on what information you are looking for. The best way to browse our classifieds is to use the Classifieds Navigation to the far right of this page. You can quickly see various 2009 Jeep Wrangler’s listed on this site by clicking on the various trims, states or by using the search box for a refined list. To learn more basic information about the 2009 Jeep Wrangler or to see the site owner’s build check out the 2009 Wrangler Info section to the right or use one of the major links below. 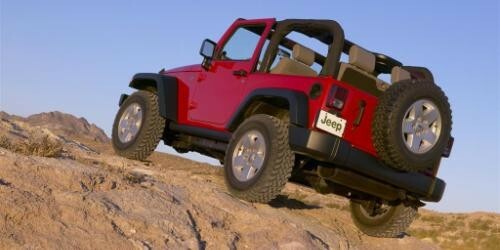 Continue reading for some basics about the Jeep Wrangler marque and the JK generational body design. Should you have any general inquiries, comments or concerns for us please do not hesitate to send us a message on our Contact page. Thank you for visiting 2009JeepWrangler.com! The Jeep Wrangler classification officially started in 1986 with the YJ when Chrysler purchased the Jeep brand. The Wrangler however, has its roots with the Willys civilian vehicles post World War II. Both Willys-Overland and Kaiser-Jeep produced a variety of Willys Jeeps including the MA, MB, Wagon, Jeepster, Pickup and M38. These vehicles gave way to the highly commercially popular CJ5 and CJ7 models that were produced throughout the 50s, 60s, 70s and early 80s. The Wrangler YJ which was manufactured from 1986 to 1996 was a departure from previous Jeep designs by including square headlights and more common SUV features for the time. Technical specs and on road capabilty were updated including more powerful engine options, a roll cage and more reliable suspension components. Over 500K units were made and sold with many still on the road today. The TJ Wrangler introduced for model year 1997 revisited the traditional Jeep style, namely the round CJ headlamps, but maintained the YJ size increases and made some major technical and performance improvements. This included a major suspension overhaul including a coil-spring suspension for better off-road performance, articulation and handling. Other enhancements included beefier suspension components such as skid plates and heavier duty axles along with general drivetrain improvements in both engine and transmission performance. 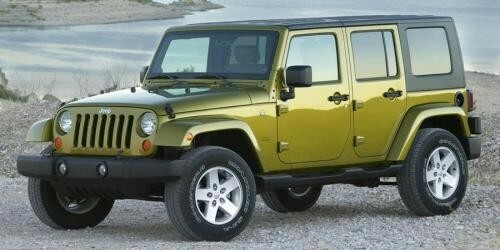 Jeep brought the most current generation of Wrangler to market for model year 2007 with the completely redesigned JK. This also included a major change with a four door unlimited model. Carrying over the idea of a longer wheel base from the Wrangler Unlimited LJ first made in 2004; Chrylser expanded upon this concept by offering a four door version of the Wrangler a first for the series. Learn more detailed information about the changes to the JK on our Specifications page. Please note that 2009JeepWrangler.com is not affiliated with nor endorsed by Chrysler Group LLC or any other company listed on this website. Use of trademarked names such as Jeep are done so in accordance with the Fair Use clause of The Copyright Act of 1976. All trademarks belong to their respective owners. It is the ultimate goal of 2009JeepWrangler.com to be the ultimate source for anything and everything about the 2009 model year Jeep Wrangler. This includes facts, features, specifications and a classifieds section. While many Jeep Wranglers are displayed for sale on this site it should be noted that 2009JeepWrangler.com is not directly involved in the physical sale of any vehicle, part or accessory. This website is simply a tool for content aggregation and viewing. We do not guarantee the accuracy of any of the information displayed here nor the timeliness of updates. Please see our full Website Disclaimer for more information.